What would be the impact on the British economy if every single one of the UK’s micro businesses were to grow by 10% – and what would it take to make it happen? These are the questions being examined in research conducted by online business network Enterprise Nation and Sage One UK as part of our ‘10% Growth Campaign’ which launches this week. Start-up and micro businesses account for 95% of all British businesses, provide employment for 7.8 million people, already contribute 20% of private sector turnover and we are seeing record numbers of them, according to official statistics. And yet despite this, the basic support micro businesses need to expand their company by a small fraction doesn’t exist, the campaign argues. Through research, our new campaign seeks to develop a framework which we hope will help achieve an increase in micro sector growth, providing a dramatic boost to the British economy and a more even distribution of wealth through lowering unemployment levels. The 10% Growth Campaign seeks to find out how micro businesses are funding their own growth, what help they think would improve or speed up that process and where their long-term expectations lie. The campaign is set to produce a report which will be presented to Government Ministers which will offer recommendations about the intervention needed to accelerate small business growth by 10%. (As an extra incentive, participants will be entered into a prize draw to win an Amazon Kindle Paperwhite). Enterprise Nation is a thoroughly modern business club. It helps people turn their good ideas into great businesses – on its’ website, in books and at events. 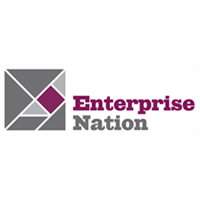 Enterprise Nation was founded in 2005 by Emma Jones MBE also co-founder of StartUp Britain. Sage One is Sage Group plc‘s family of online accounts and payroll services designed specifically for UK start-ups and small business owners who want control of their business but don’t have an accounting background or the time for software training. No jargon, no fuss, just a clear, simple way to get things done.